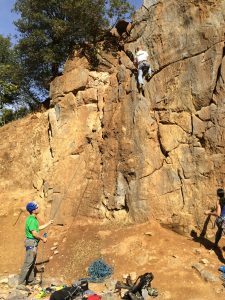 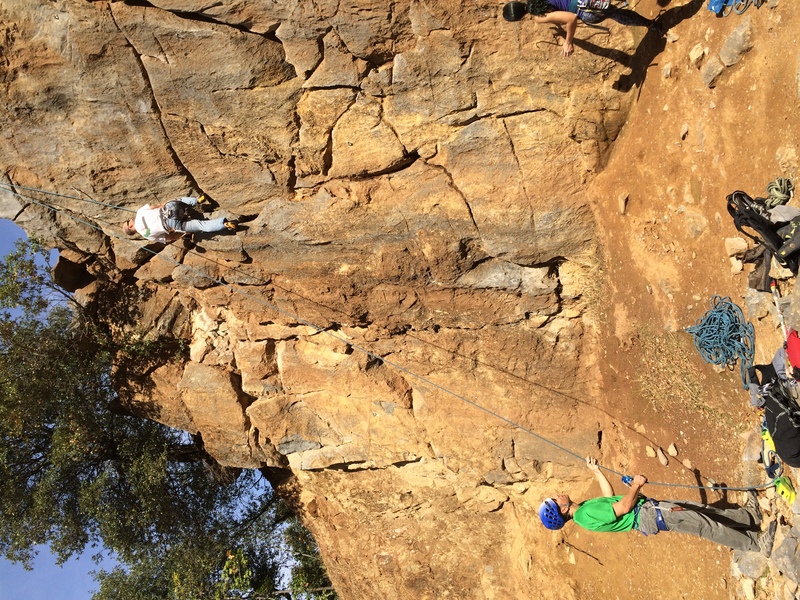 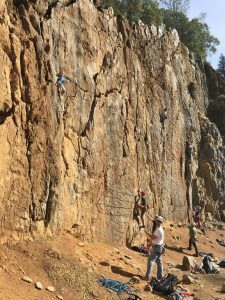 Javier Arsuaga and Gina Gonzalez rock climbing at Auburn Quarry, Fall 2016. 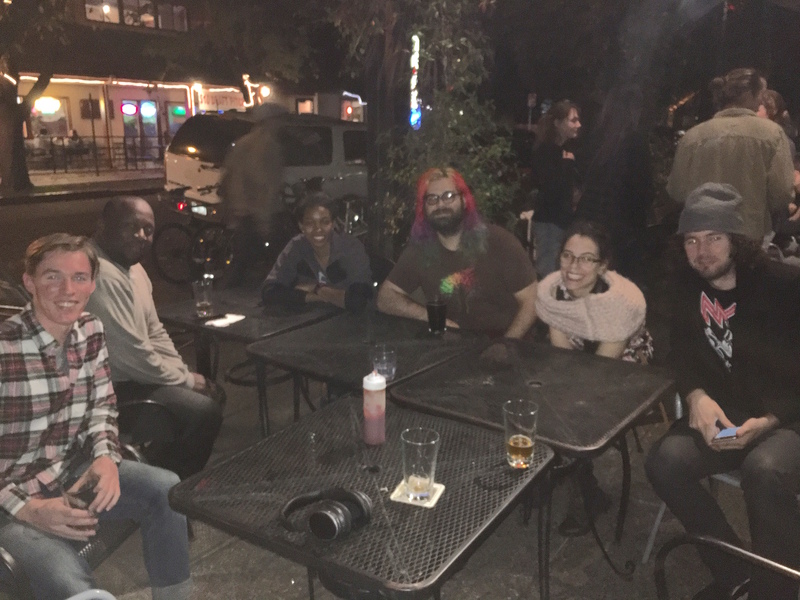 From left: Ryan, Maxime, Tamara, Shawn, Michelle, Robert celebrate Ryan’s success on his preliminary exams and Maxime receiving his Master’s degree. 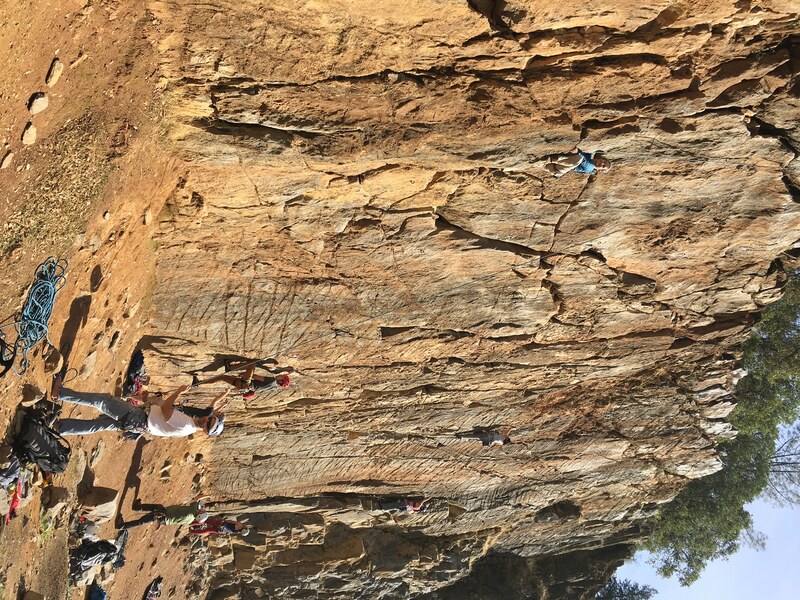 Fall 2016.